Boy do my feet hurt. I keep forgetting how incredibly huge this city is. You don’t think about it until you have to get off the tube/bus and walk somewhere. Londoners must have legs of iron, feet of titanium, and really really good insoles. 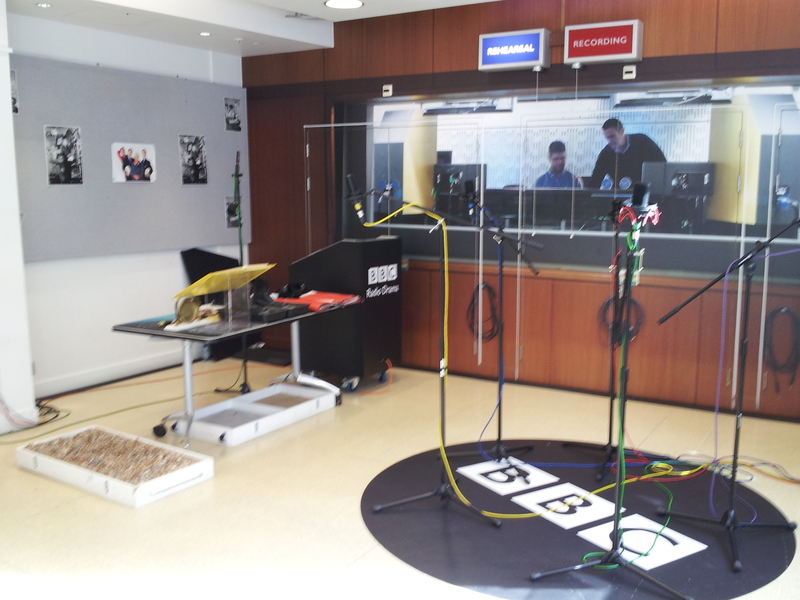 Today, I toured the BBC Broadcasting House, the world headquarters of the BBC, and where they do the radio broadcasts and the news. It was pretty cool. BBC has been doing radio broadcasts since before World War II and television and internet soon followed. 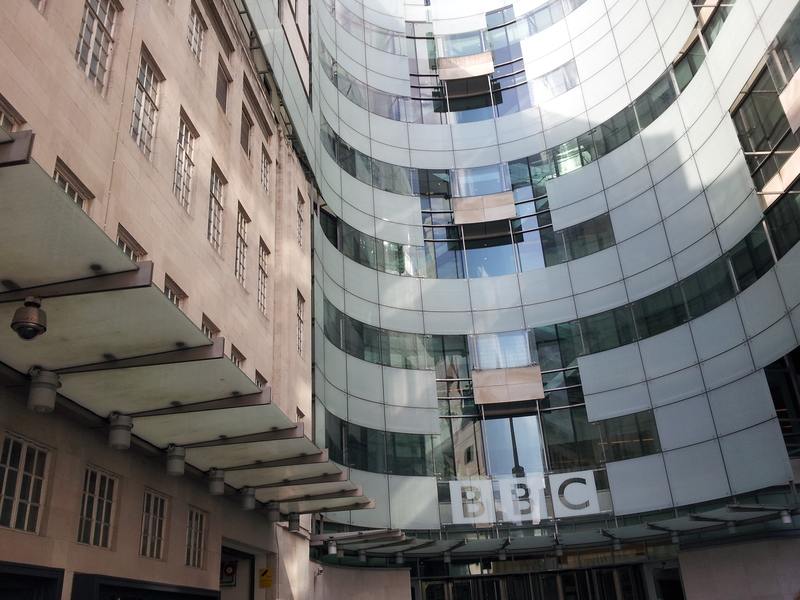 The UK is still heavy on radio content, however–they have a long and loving history with it. 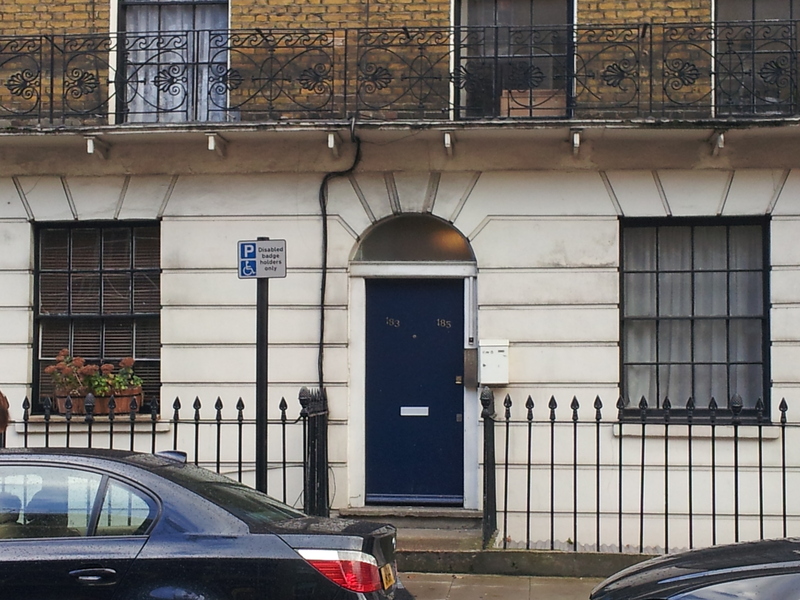 I arrived at this building at Portland Place, near Oxford Street. Herp a derp, I just now realized I forgot to put this picture in here. — 19 Oct. The older building on the left is what they call Old BBC, and the new one on the right is the new addition. 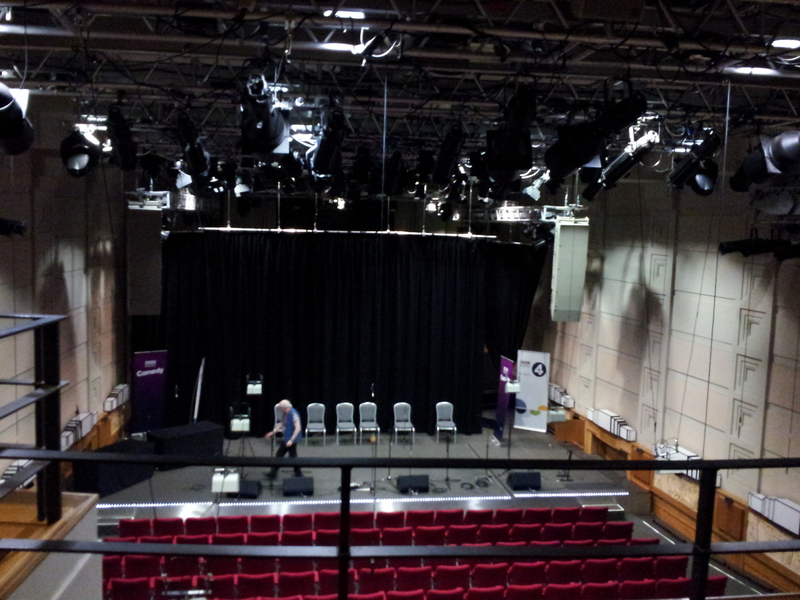 Recently, BBC moved house and broke up some of its services so they would have a presence in the north of the country. When you go to the Media Café to meet for the tour, you are greeted by an old friend. 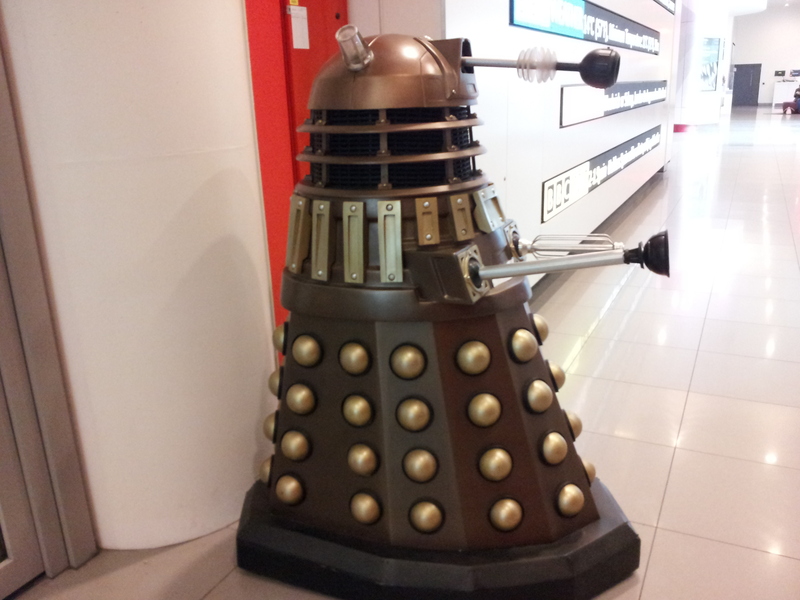 I asked the security guy, “Are you aware there is a Dalek in your building?” And without missing a beat, he answered, “Yes, we’ve been watching him all day.” Ha! 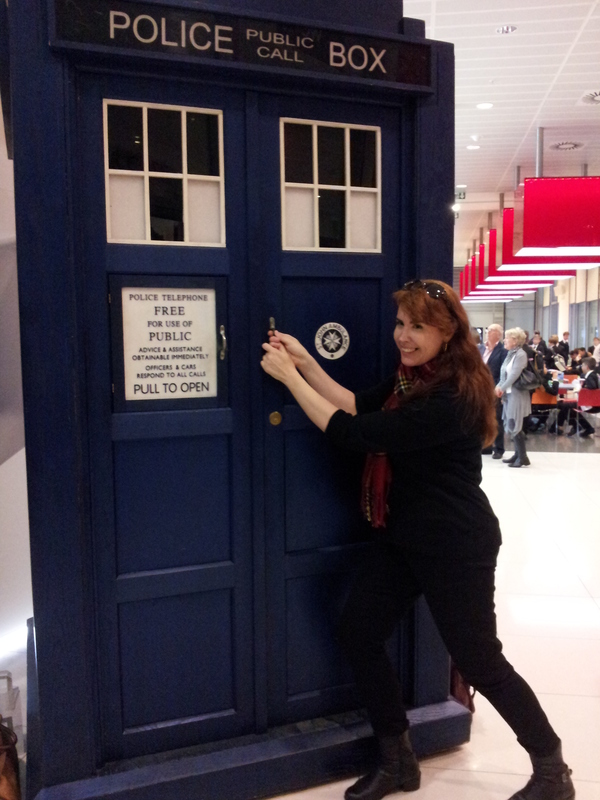 Come on, Doctor, let me in! I want to travel the universe with you! This studio is where they do live music and I think some comedy stuff. Here is a studio where they do radio dramas/comedies, like The Archers, a long-running show that I can only describe as an agricultural soap opera. 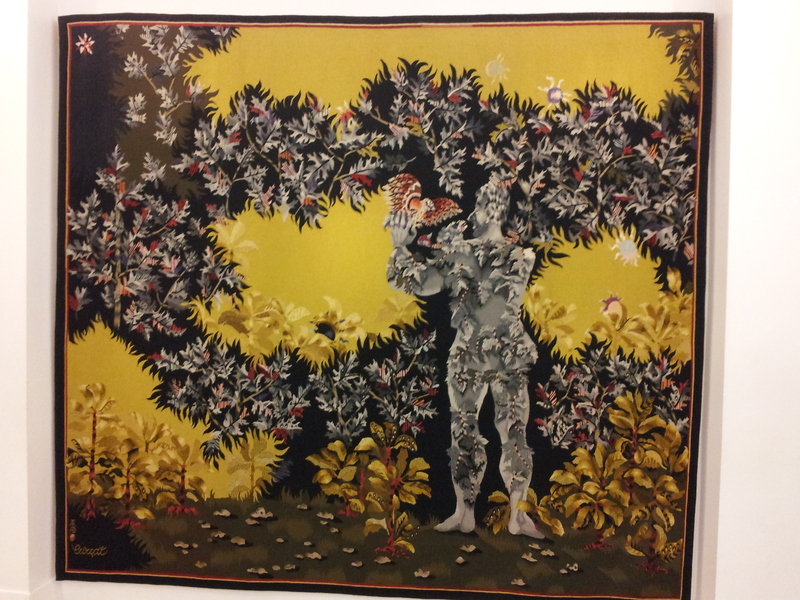 Le Poete–The Poet tapestry, in Old BBC. It was a gift from the French government in 1949 as a thank-you for BBC’s wartime coverage. Across the street, you find The Langham Hotel, a five-star luxury accommodation I will probably never stay in (though you never know–the world is a magical place). I can’t even imagine how much it costs to book a room here. 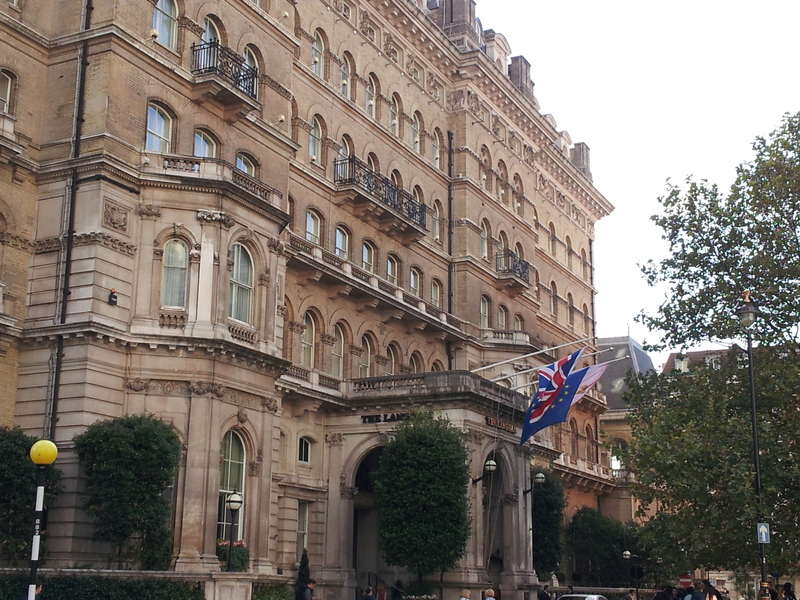 It’s a lovely building, even though I probably wouldn’t be allowed in the front door. The BBC headquarters is literally right around the corner and up the street from the tube station. God, it’s great when I don’t have to walk miles to get to something. I adore how people here say, “Oh, [thing] is just a short walk up that way–you’ll come right to it.” UM NO. I’m starting to understand why Londoners can’t be arsed to visit someone if they live more than a few tube stops away. It takes FOREVER to get anywhere. But I still love it here, partly because of stuff like the following. I managed to cram several different things in that I wanted to see today, mainly because they weren’t that far apart. 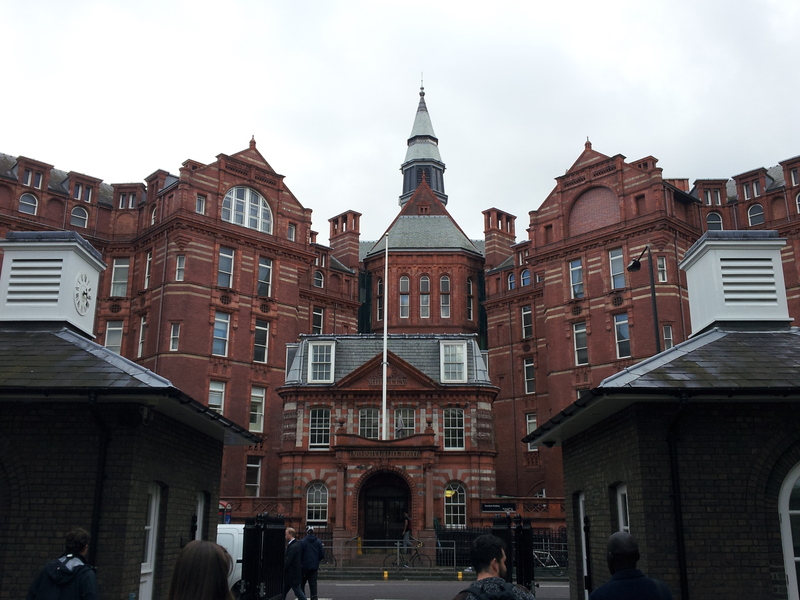 I went to Gower Street, where University College Hospital and University College London are. 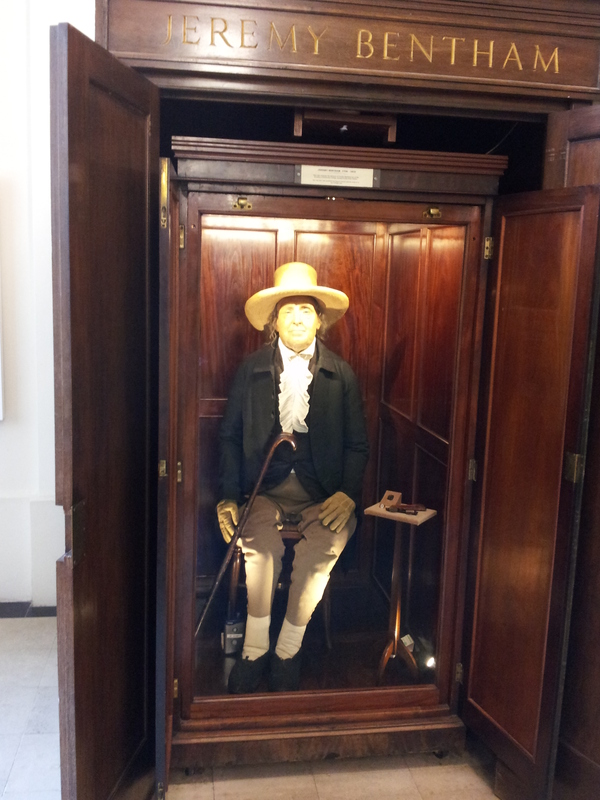 One of the founders of the college, philosopher and social reformer Jeremy Bentham, specified in his will that he be displayed after his death. This is J.B.’s skeleton, dressed in his own clothing, with a wax mask of his face. His head used to be between his feet, but now it’s in the college vault. 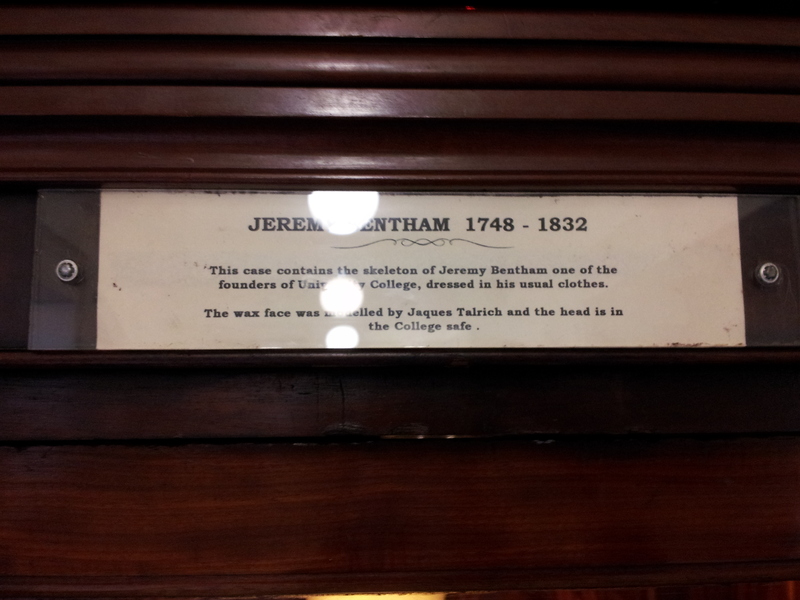 The plaque above the display cabinet. We learned about Bentham in my criminology and government classes in my second round of college. He was a pretty cool guy–very liberal, and very ahead of his time. But I first heard of him as a child, when I would devour every copy of the Ripley’s Believe it or Not books I could get my hands on. Lying in the shadow of the modern hospital, it looks like a relic from another age, and one that holds many secrets–and more than a few ghosts. 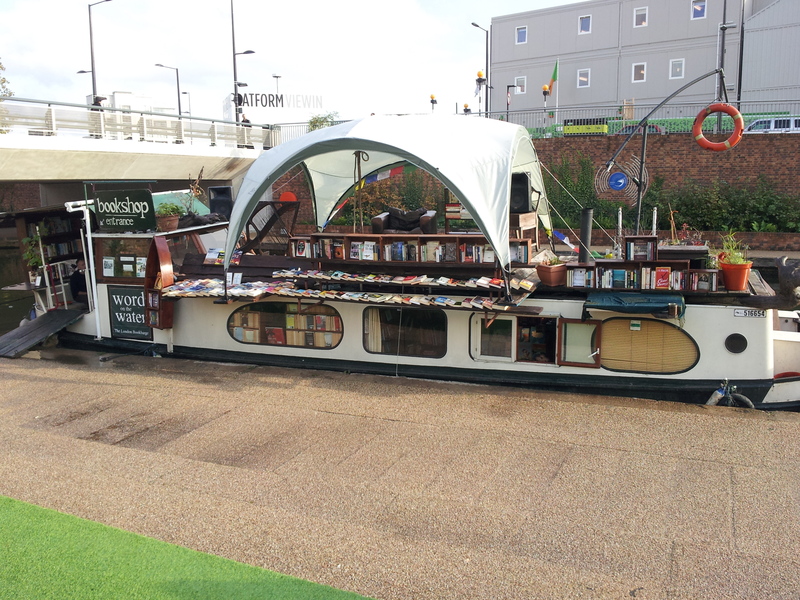 I concluded my day by visiting a floating bookstore called Word on the Water, housed in a barge that was at Paddington Station but at the moment is located outside Central St. Martins art school at King’s Cross. They are applying for permanent tender at Paddington. 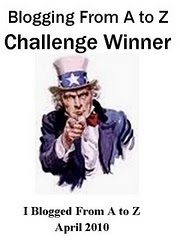 I hope they get it. If they can’t, they might have to close. And that would be a shame. The book barge, Word on the Water. Step inside (watch your head) and discover a nice selection of used books. 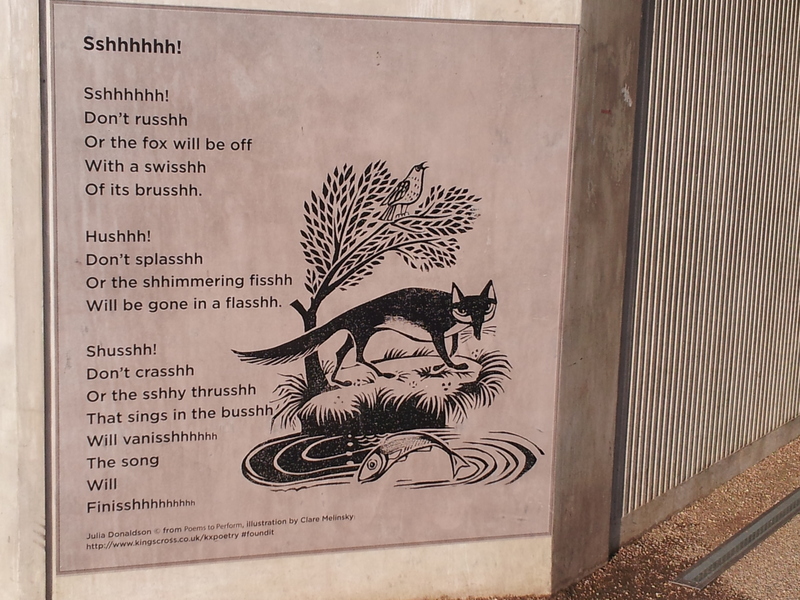 An illustrated poem on the wall near where the barge is moored. I liked this. 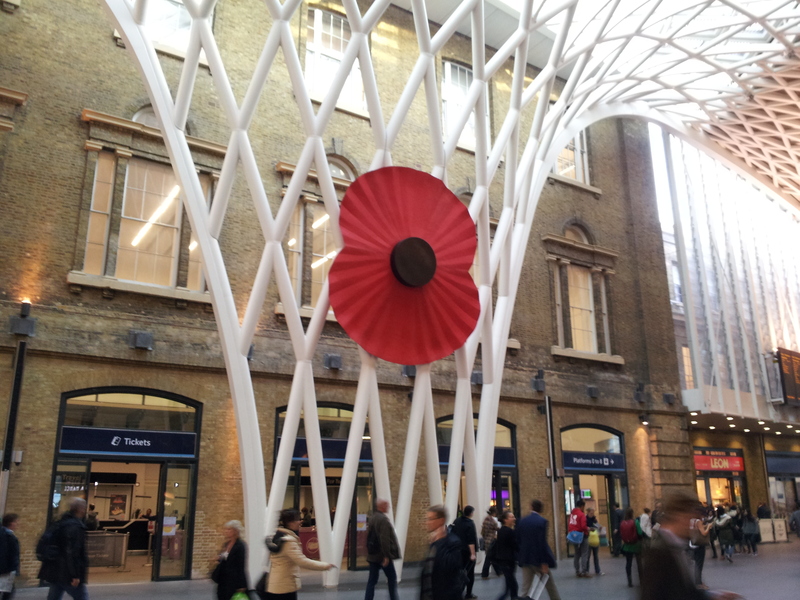 And on the way home–a commemorative poppy in King’s Cross Station. Everyone is marking the WWI centenary in their own ways. I’ve only got two days left before I have to go home. I’m not looking forward to it. A long, long flight, and then it’s back to work the next day. My coworkers are probably thinking, “FINALLY!” but they’ll never know how much I will yearn to return. Well, they might–because I’m not waiting so long to come back this time. And if there’s a way to stay here, I’ll find it.